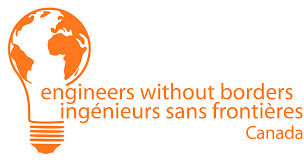 Engineers Without Borders – Regina Engineering Students' Society, Inc. Engineers Without Borders harnesses the problem-solving approach and creative pragmatism of the Canadian engineering sector to address the root causes of poverty in rural Africa. At the University of Regina, EWB runs all sorts of outreach, fundraising, and academic events. You might find yourself presenting to a high school class, meeting with a Member of Parliament, discussing what global engineering is, travelling across Canada, or volunteering in Africa. No matter what you choose, you�ll be doing great things and having a blast! Want to learn more? Head to our Facebook Page (Engineers Without Borders Regina) � or email at uregina.ewb@gmail.com!